is it just my computer or what am I doing wrong, I can't seem to get the parts pdf downloaded, it says it's downloading but nothing shows up! I'm looking for parts for a JD #9 sickle bar hay mower. Thanks for any tips! 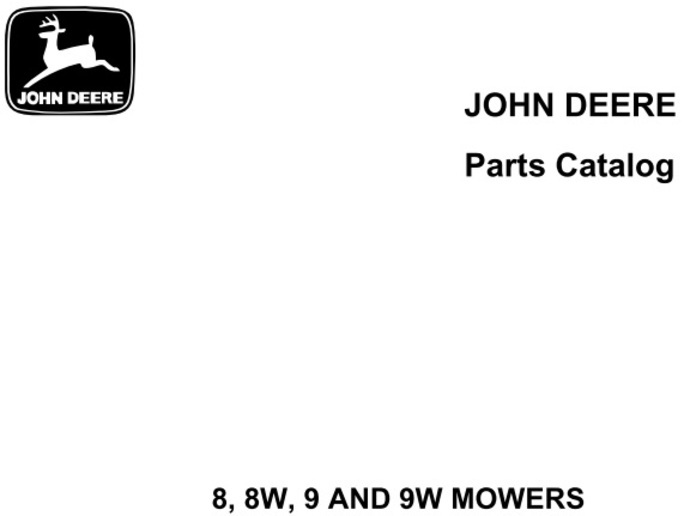 Send me an email and I will attach the PDF file for the John Deere Parts Catalog PC817 and send it to you. chrome...went to MS...worked fine then! Thanks, I also switched from goggle chrome to fire fox, problem solved, parts ordered and installed!